(Find out if you will have to pay alimony to your ex-husband.) You cannot, however, deduct child support payments, so don’t try to get away with deducting more than is legal. 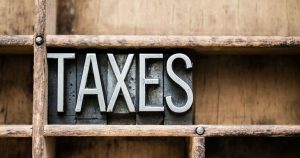 If you divorced before the end of 2018 and are receiving spousal support from your husband, you must report the amount as income on your tax return and pay taxes on it. This is very important to understand, because it means that if you spend all of your alimony payments, you could be surprised by a tax bill. (Find out if you are eligible for alimony.) You can either put a percentage of each spousal support check into a savings account to cover your tax bill or ask your employer to withhold a little more from your paychecks to cover your alimony income. Child support is not considered income and does not have to be reported on your taxes. After your first year of divorce, it is always a good idea to seek the advice and services of a Certified Public Accountant so that you don’t miss any deductions or make expensive mistakes. 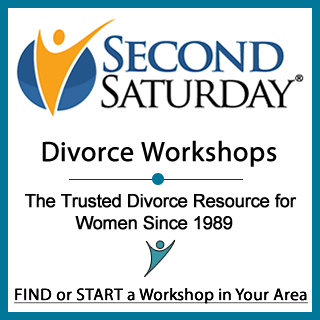 If you are still considering divorce and want to learn more about what your financial life might look like after you make the leap, we invite you to sign up for the next Second Saturday Divorce Workshop in your area and to keep reading our divorce article archives. If your ex bought you a car in April of 2014 and you didn’t get divorced into early 2016 can he claim that as alimony? If you and he had a written agreement that as part of alimony he would buy you a car, and he did so, then that constitutes alimony that is taxable to you and deductible by him. If that isn’t what happened, then it isn’t. I am in the process of a divorce and what to share with you another option that I learn from my CPA. Filing married but separately simple form or itemize. Well guess what? You both have to agree to file the same way. You and you husband have to file the same way meaning if he itemizes you have to itemize. If he files married filing separately using the simply form you have to file the same way. So I asked my accountant how much more will I have to pay because I have to itemize. He figured out the difference will be around $900. So I negotiated with him to pay the difference. Which he did. But when his attorney found out he wrote my attorney and told her he would claim this amount next year as additional spousal support. I agreed.- Mistake?! But I thought it would be cheaper than having the attorneys fight it out. Wow, it is way less costly than having the attorneys duke it out. Good job!! Since you are married, generally you cannot collect social security benefits on your former spouse’s earnings history. You can contact the Social Security Administration to see if there’s anything special that applies to your situation.